Offering educational and advocacy opportunities for the congregation to address the damaging gun violence in our communities in Minnesota and nationally. Since 2005, Plymouth members and members of the Fraternity of Baptist Churches in Cuba have forged friendships spanning cultural, political and economic barriers. Members of Plymouth visit Cuba periodically for the purpose of continuing this friendship. A group meets regularly to discuss developments and current events that pertain to U.S./Cuban relations. Great River Landing is the current project of this partnership between Plymouth, Westminster Presbyterian Church and Beacon. Great River will provide safe and stable homes for recently incarcerated men who are committed to doing well for themselves, their families and the community. We strive to nurture relationships and understanding with our American Indian neighbors, one of the larger urban American Indian populations in the country. On Nov. 13, we hosted Hopi Water Protector Vernon Masayesva. Listen now to the audio. Advocate for system changes through the legislative process to create more affordable housing, reduce homelessness and end hunger. 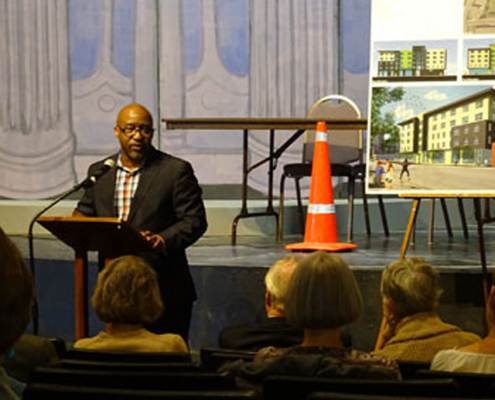 The Team works with the Downtown Congregations to End Homelessness, a coalition focused on changing actions from managing to ending homelessness.